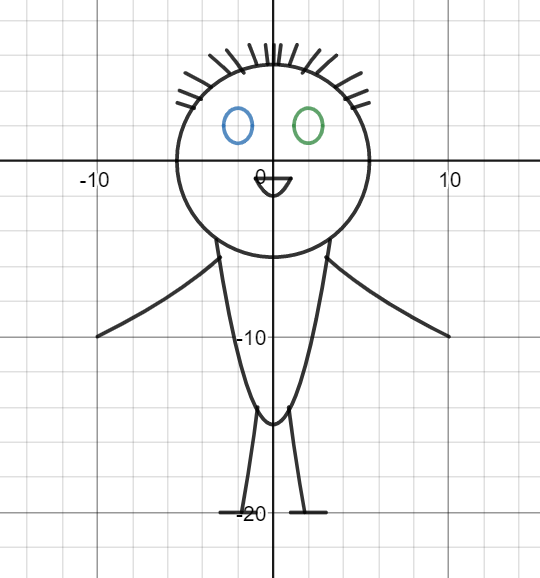 This was pretty difficult at first, desmos is a great site but making a human person using it was very challenging, sometimes it felt like no matter what I tried that nothing would work, I ended up coming up with some crazy equations that I couldn’t explain if I tried. 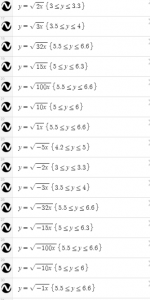 One of my aha moments was when Ms. MacArthur told me how to do the domain and range on desmos(I literally just put the wrong bracket in) afterwards though, it was much easier to figure out new equations. 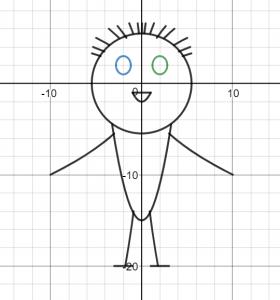 I feel like this assignment drilled into my head which graphs are related to which functions, as a result I feel like i understand functions better.